Themed “Vietnam – We Mean Business: Connect and Innovate”, the Vietnam Business Summit 2018 (VBS 2018) was part of the World Economic Forum on ASEAN 2018 underway in the capital city over September 11-13, drawing more than 1,200 entrepreneurs and investors across the globe, together with representatives of foreign business associations, embassies, and international organisations. The Summit is the largest international conference of its kind organised by the Vietnam Chamber of Commerce and Industry (VCCI) in 2018. 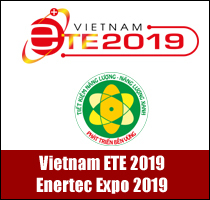 In his speech, Prime Minister Nguyen Xuan Phuc described the VBS 2018 as an excellent opportunity for foreign investors and Vietnamese enterprises to exchange experience in the hope of promoting connectivity and innovation to open up new opportunities for broader cooperation in the fourth industrial revolution. 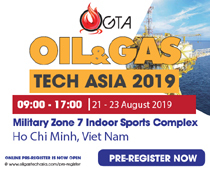 “Vietnam has no ambitions to be the best in globalisation but it has a desire to befriend the best players,” said Prime Minister Nguyen Xuan Phuc. Addressing the summit, WEF President Borger Brende applauded the tremendous achievements Vietnam has recorded over the past three decades, as shown by WEF reports on the Vietnamese Government's constant efforts to improve the situation. The challenge of the industrial revolution 4.0 is the biggest obstacle facing Vietnam for the time being, he said, adding that Vietnam is sparing no efforts to surmount such difficulties towards stronger development. 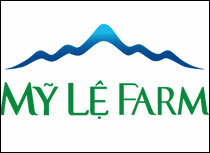 “The Vietnamese government pledges to accompany foreign enterprises in their operations in Vietnam. Only 21 per cent of Vietnam’s small- and medium-sized enterprises (SMEs) have taken part in the global value chains, much lower than the 46 per cent in other ASEAN state members. The country hopes that more economic groups and FDI enterprises help Vietnamese enterprises to become involved in the global value chains and promote human resource training. It aspires to become a prosperous country in the future,” Prime Minister Phuc emphasised. The government leader also highlighted Vietnam’s economic growth potential and improved investment environment, saying the country is gaining trust from investors. "Vietnam is a WTO member and has participated in 12 free trade agreements (FTAs) including 6 of ASEAN’s FTAs with China, India, Japan and the Republic of Korea (RoK). The Comprehensive and Progressive Agreement for Trans-Pacific Partnership (CPTPP) is being approved, and the EU-Vietnam Free Trade Agreement (EVFTA), and the Regional Comprehensive Economic Partnership (RCEP) are likely to be signed by the end of this year. 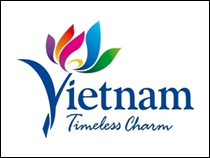 These agreements will provide a wealth of opportunity for Vietnam to engage further in the global value chains and production network,” Prime Minister Phuc said. 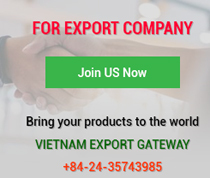 Vietnam aims to move to a higher position in the global value chains and enhance the connectivity between Vietnamese and FDI businesses. The country has set up trade relations with over 200 countries and territories from across the world. It has also taken the lead in exporting many agricultural products like rice, pepper, coffee, cashew nut, basa fish, and shrimp, he noted. Prime Minister Phuc voiced his belief that Vietnam’s agriculture potential would be fully tapped and could be a strong magnet for investment and cooperation. The country holds aspirations to become a prosperous nation, inferior to no other countries in the world, he said. Delivering a keynote speech at the summit, Dr Vu Tien Loc, President of the Vietnam Chamber of Commerce and Industry (VCCI) emphasised that entrepreneurship and the Industrial Revolution 4.0 are the main topic throughout the discussions during the WEF on ASEAN. Dr Vu Tien Loc said that Resolution 19 of the Vietnam’s Government on improving the business environment and enhancing national competitiveness of Vietnam adopts the standards as set in the World Economic Forum's Global Competitiveness Report. The current economic restructuring programme of Vietnam is also designed on the basis of the Report on the Industrial Revolution 4.0 and the country has been chosen by the WEF as the first regional country to sign a public-private partnership (PPP) deal, proving how much the WEF has appreciated ties with the nation. VCCI President Vu Tien Loc emphasised that Vietnam's reform and development agenda is linked to global value chains, business opportunities with Vietnam in the digital era, especially the bright innovation projects. Financial investment opportunities involved in the restructuring of SOEs, private sector development, socio-economic infrastructure development projects, etc are expected to boom in Vietnam in the coming time. VCCI to Organise Course on “Business Planning and Start-up"